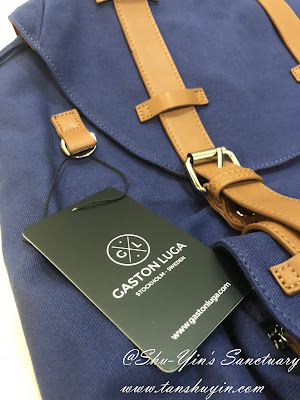 Gaston Luga is a Swedish brand specializing in backpacks. Its design is minimalist yet chic with clean, simple lines. Gaston Luga believed a backpack is the optimal companion when discovering the world. 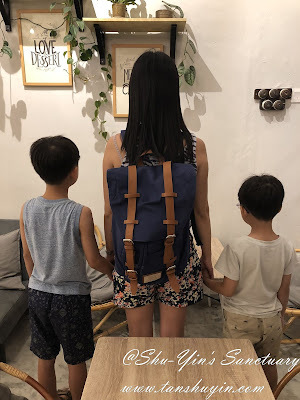 Their backpacks are of classic elegant style and practical details. 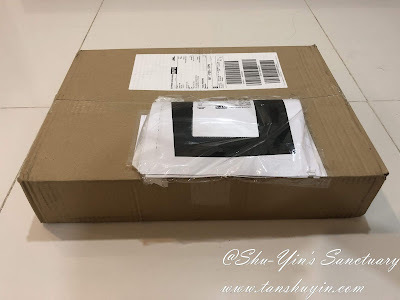 I was so impressed as my package arrived my place only just 3 business days after it was being shipped. It was shipped to me via DHL and boy, it was fast! It came in a brown sturdy box. Upon opening up the brown box, the backpack was wrapped in a dust bag. 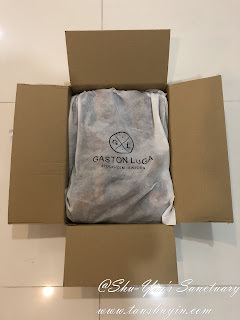 This is the dust bag that it came with, with the Gaston Luga logo. 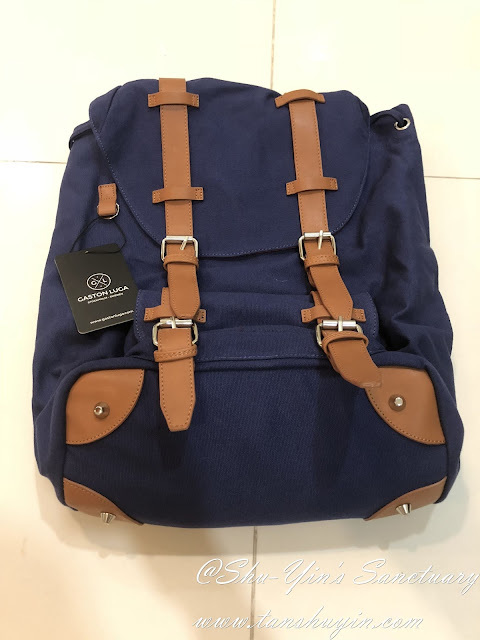 This is the Gaston Luga Classic - Navy & Brown backpack that I chose. 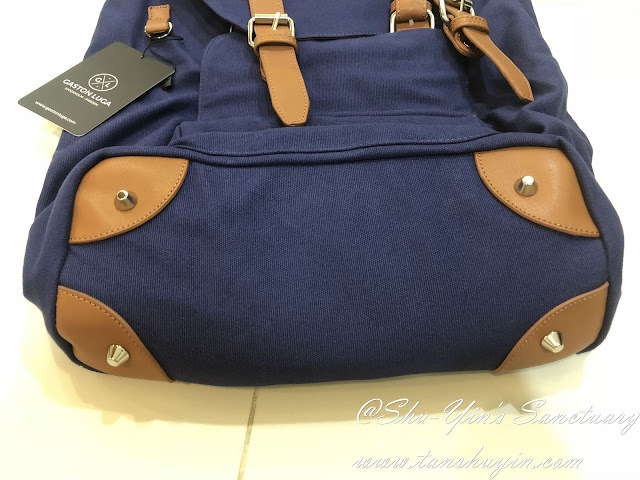 I love this colour as the brown leather straps contrasts with the dark Navy Blue canvas and so can really see the leather straps detailing. I also love the strong durable canvas which I know will practically last forever. There is a side ring which you can hang your own keychain or anything to personalize it which is such a nice feature. This is also the place to hang the leather address tag if you wish to purchase it along with your backpack. 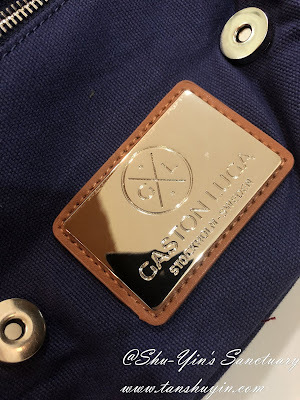 Love the steel metal of the Gaston Luga logo at the front pocket of the bag which gives it a luxe feel. At the bottom of the backpack are 4 small metal legs. This is a very useful and practical feature as it enables the backpack to "stand" on its metal legs. This is especially useful when I have the need to put the backpack down on the floor or somewhere a little wet. One of my favorite feature is the front pocket. It comes with strong magnetic straps and also a zipper underneath, which makes the pocket quite secure. I usually keep some of my small change there or my keys. One thing to note though is that this backpack comes with a strong durable drawstring opening in the main compartment. Firstly, I am so used to using zipped backpacks. So initially I felt a bit insecure with this drawstring opening. But after using it for some time, I find that it is actually more secure with this than just a zipped backpack. 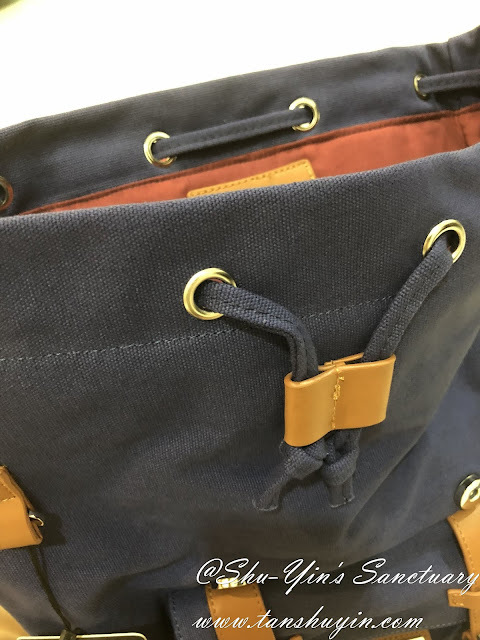 This is because after the drawstring closure, there is still a flap over that secures it with a strong magnetic lock. This extra magnetic flap closure works as a second layer of security. 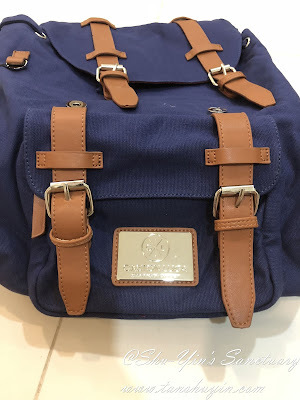 This strong durable drawstring opens the main comparment, which contains an inner 13-15" laptop comparment and also 2 smaller pockets for smaller belongings such as wallet or phone. This inner lining is made of a soft and luxurious 100% cotton fabric. Or if you use it as a kids day out back, I keep wipes or toy cars or stainless steel straw container in there. 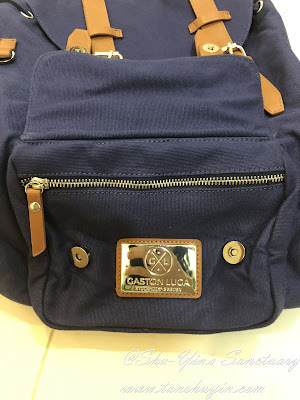 On the back of the backpack is the unique Gaston Luga pocket meant for keeping passport/travel documents etc. 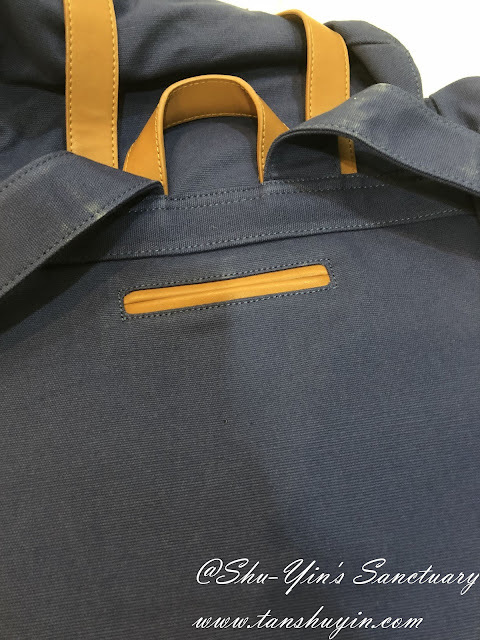 This unique pocket that I haven't seen in other backpacks is really tight and snug so it can keep your passport or documents secure yet easily accessible. I also do keep my iPhone there as well sometimes. This backpack is really spacious. 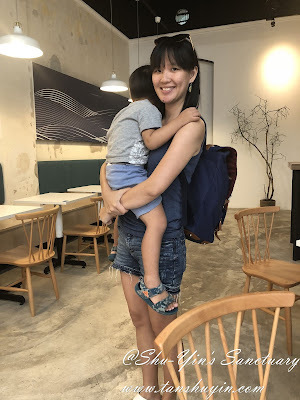 I mostly use it for the day out backpack to put my 3 kids stuff and it serves me pretty well. 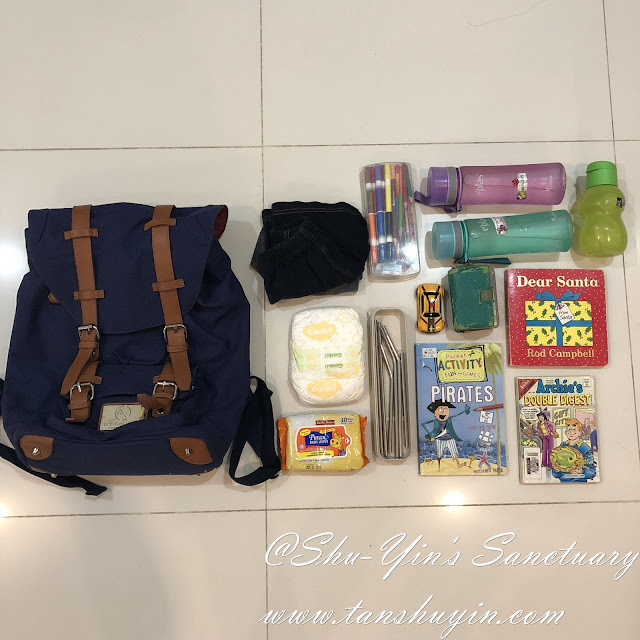 Let me show you roughly how many items I put into my Gaston Luga backpack. Yes, these are the things that I usually put into my Gaston Luga backpack. And yet it doesn't look too bulky nor does it feel really heavy. 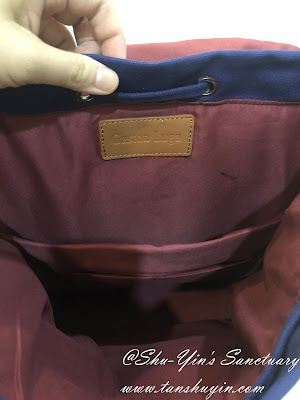 My Gaston Luga Backpack and the stuff inside. One thing to note though, the shoulder straps are not padded. But somehow even with all the things I lugged into my backpack, it does not feel heavy at all. Maybe because the straps are wide enough or maybe of the ergonomic design. I'm not too sure. 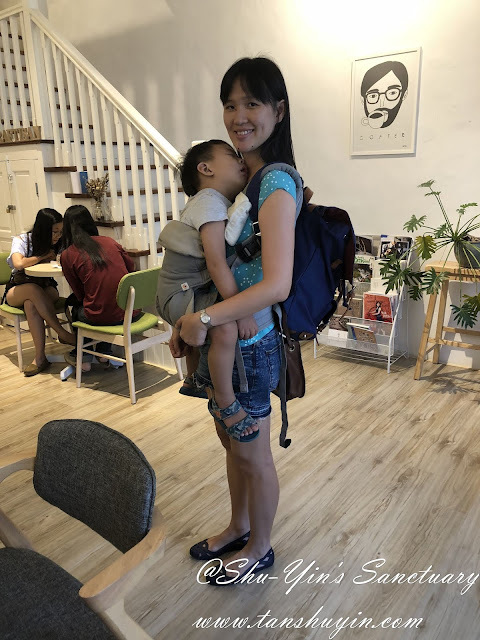 When I bring my kids out exploring, this backpack is really useful for us. 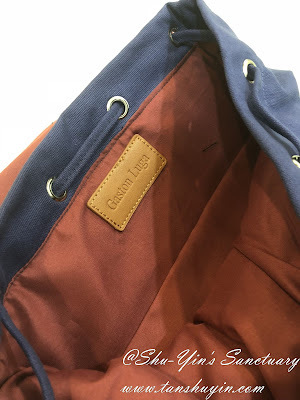 The colour Navy & Brown is also unisex and thus no problems for either me or hubs carrying it. It's also no problem for me to carry Vern while back carrying the Gaston Luga backpack. 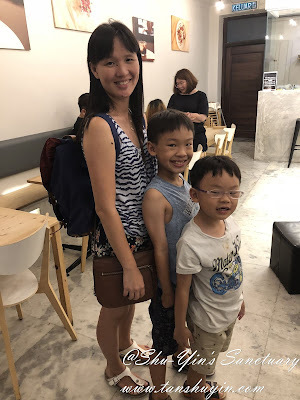 And best of all, I can even babywear Vern in front while carrying the backpack! Double yay! All in all, I love my Gaston Luga backpack. It is stylish yet practical and serves its purpose. 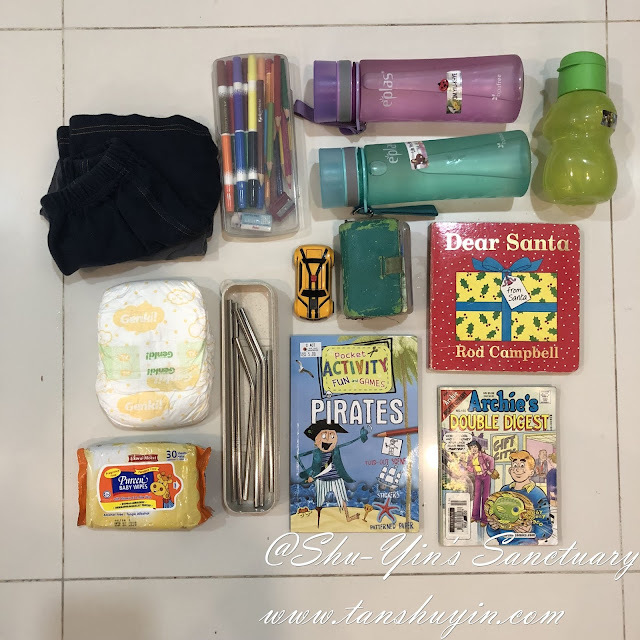 I would definitely recommend it to anyone who wish to bring it for travel use or to use it as a kids day out bag (or you can call it a Mum bag) just like me! Or you can also use it as a gym back or even for the photography enthusiast to keep all its gears. 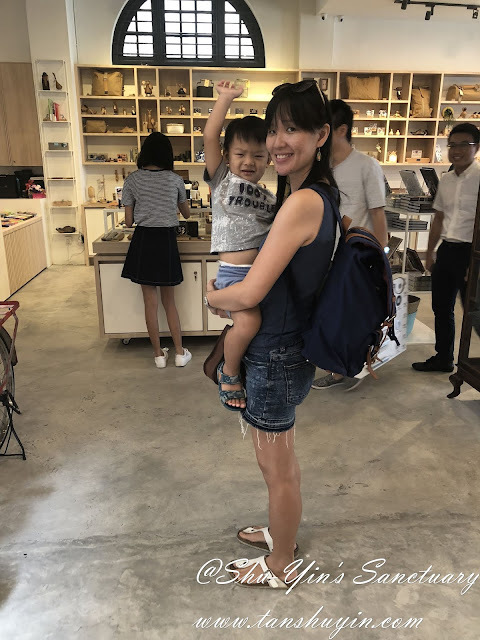 See Vern's happy faces below with our Gaston Luga backpack! 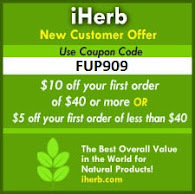 Why not purchase one for yourself or for your family. Get one or more of this stylish Swedish designed backpack which is practical yet luxe and chic! Thanks to Gaston Luga, you get 15% off upon purchase from their website. 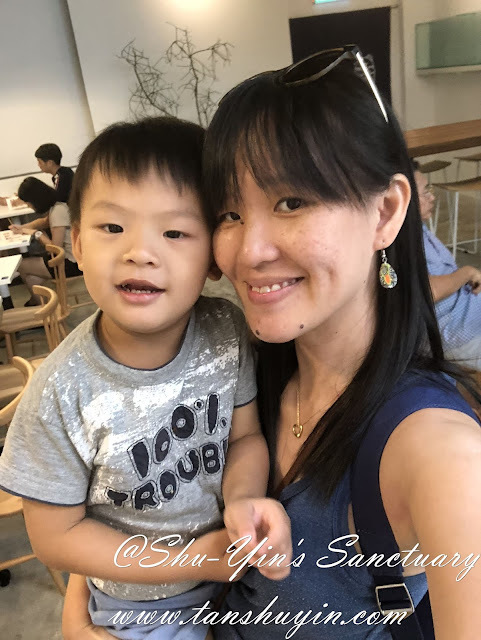 Just enter discout code shuyin15 upon checkout. Shipping is FREE (DHL Delivery) to Malaysia! For more info, you can visit their Website or their Instagram page. 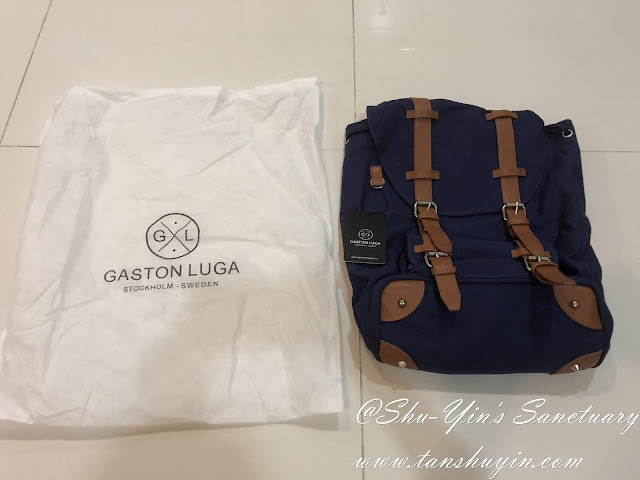 * Disclosure: I received a Gaston Luga's Classic Navy & Blue Backpack for review purpose, but no monetary incentive was received. All text and opinions are of my own and represents my honest opinion of the product(s).